Lovers, in the words of Phyllis Theroux, “To send a letter is a good way to go somewhere without moving anything but your heart.” Truer words have never been spoken, mais oui? A letter is an exemplary way to bring two people together – allowing the sender to show someone that you care; whilst providing the receiver with a feeling of true joviality at the grand, and oh-so glamorous, gesture. 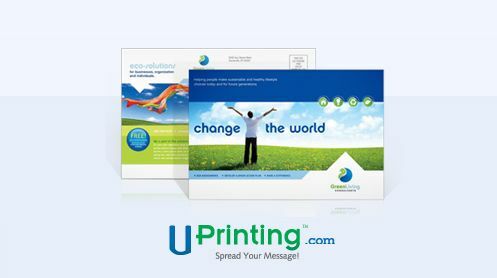 Now, thanks to UPrinting – true masters of online printing - one (1) lucky lady will have the chance to put pen to Postcards, when she takes home 100 Postcards of her very own creation! Surprise, surprise, darlings! Café Fashionista has teamed up with UPrinting – an online printing service known for their postcard printing prowess – to bring one (1) wordy reader a 100 Postcard Set; 5” x 7” in size; 14pt cardstock gloss; no folding; front only printing, to do with of her choosing – be it seal them with a kiss and send them off to cute boys, or send a friendly hello to your besties! ♥For one (1) entry, leave a comment on this post stating who you love to send letters to between now and Monday, October 24, 2011 at midnight PST. ♥For two (2) entries, Tweet about this giveaway, and leave a comment on this post stating who you love to send letters to between now and Monday, October 24, 2011 at midnight PST with your Twitter URL. ♥For three (3) entries, become a follower of Café Fashionista on Blogger/Google Reader/Google Friend Connect, or Twitter @cafefashionista, and leave a comment on this post stating who you love to send letters to between now and Monday, October 24, 2011 at midnight PST (if you are already a Café Fashionista follower, please say so in your comment). I will randomly pick one (1) name out of a hat (who knows, it could be yours! ), and announce the winner on Tuesday, October 25, 2011. Thanks to UPrinting for the picture. How sweet. Its always great to send a post card to a certain someone who has moved away. I always said I would, but I never have gotten around to it. These would be great. This looks so fun! I can think of a special someone who loves little notes from the mail. A wonderful writer I know. This would make him giddy. This looks this is going to be an awesome giveaway. I hope you had a wonderful weekend and that school's going well for you. So romantic. Even Grams and Gramps would love to hear from you with these post cards! Awww... Such a lovely giveaway! Pity, it's only for US Citizens. I love writing post cards, when i travel, and even when I just have a few special words to say. Great giveaway! Yes, it's too bad that it's only for US....good luck everyone! I love sending letters to my friend Kathy from high school; she lives in CA and I live in CT and we have kept in touch via letters for almost 20 years! Ohhh would absolutely love to send letters to all my school and teenage years friends that have not seen in ages. I'm a Twitter follower (Lisa_Blogs) and I like to send letters to family who live far away. I would love to write all my friends back in Boston. I miss them all! I think I would make them for my family to send during holidays!! I love to send letters to my good friend Mihika in India! I follow you via Blogger, too. What a cool giveaway!! I really like this idea. I love to send letters to my Great Uncle because he certainly appreciates the mail! What a cute giveaway! I love sending letters to friends that are far!